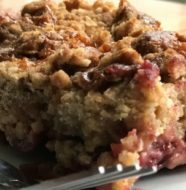 When summer heats up, the last thing I want to do is make things even steamier by cooking over a hot stove or cranking up the oven to get a meal ready. Yet, I do want to prepare a nutritious and satisfying dish. So I rely on my microwave even more to whip up a delicious meal for myself or friends and family. And it keeps my kitchen – and me – feeling cool. I recently learned how to cook pasta in the microwave. Yes, I bought the not-so-fancy plastic pasta cooker I saw on television but you could easily cook almost any pasta with a microwave-safe glass bowl. It’s so simple, I can’t believe I never thought of it before. Making pasta salads, which taste great warm or chilled, are a great meal option especially in the summer when you don’t want to have a heavy meal. And when the vegetables are fresh from the garden or local farmer’s market, it’s time for some pasta primavera. 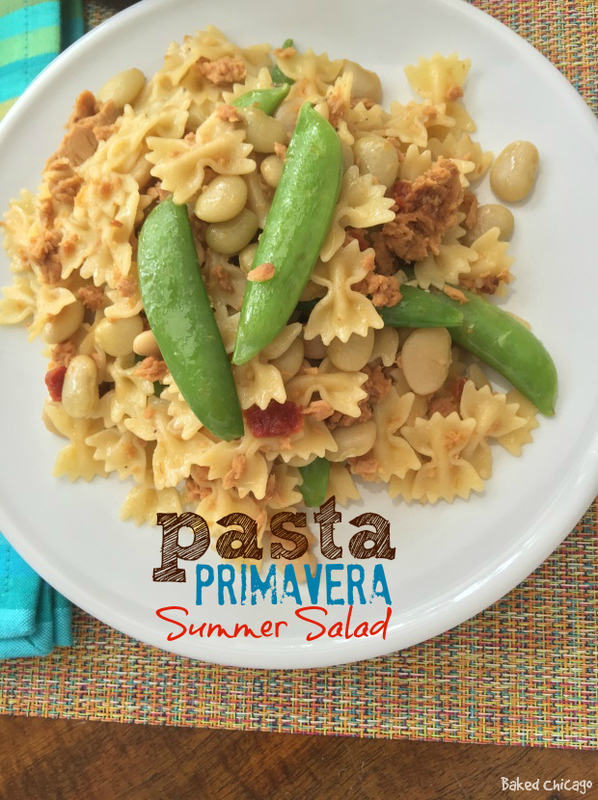 Pasta Primavera Summer Salad pairs perfectly with Bumble Bee® Prime Fillet® Gourmet Flavors Albacore Tuna with Sundried Tomatoes and Olive Oil. I adore albacore tuna, especially when it’s packed in olive oil. 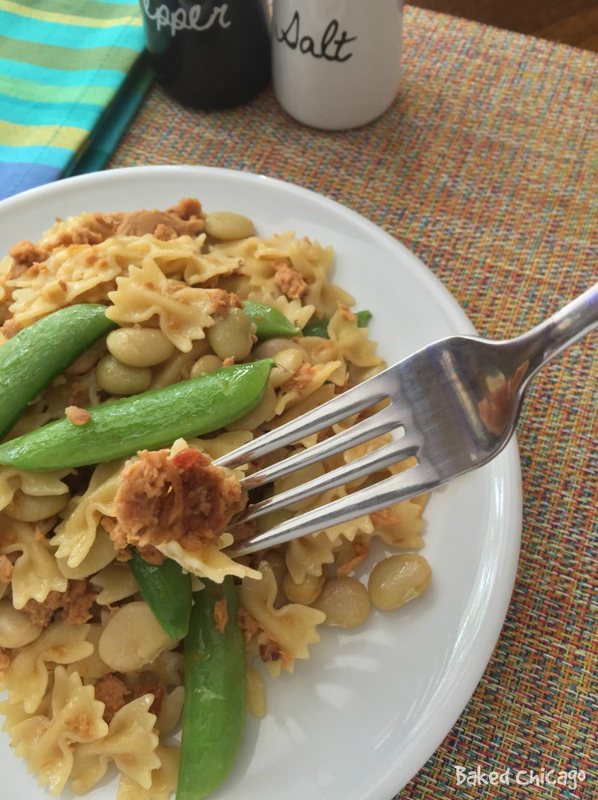 Because there’s garlic-infused extra virgin olive oil coating the pasta and vegetables in this pasta primavera salad, it blends beautifully with the tuna. Doesn’t it look absolutely delish!?! And it’s beyond simple to make. To get started all you need is some of your favorite pasta, two of your favorite fresh, in-season vegetables, Bumble Bee® Albacore Tuna, extra virgin olive oil, minced garlic, salt and pepper. 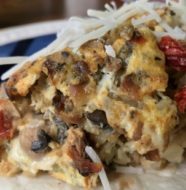 These eight ingredients will come together in less than 15 minutes of cooking time (all in the microwave, so you get to stay cool in the kitchen!). To make garlic-infused olive oil couldn’t be simpler. Take some minced garlic (about 1 teaspoon) and put in a small bowl. Cover with 4 tablespoons of extra virgin olive oil and let it steep while you prepare the vegetables and pasta. 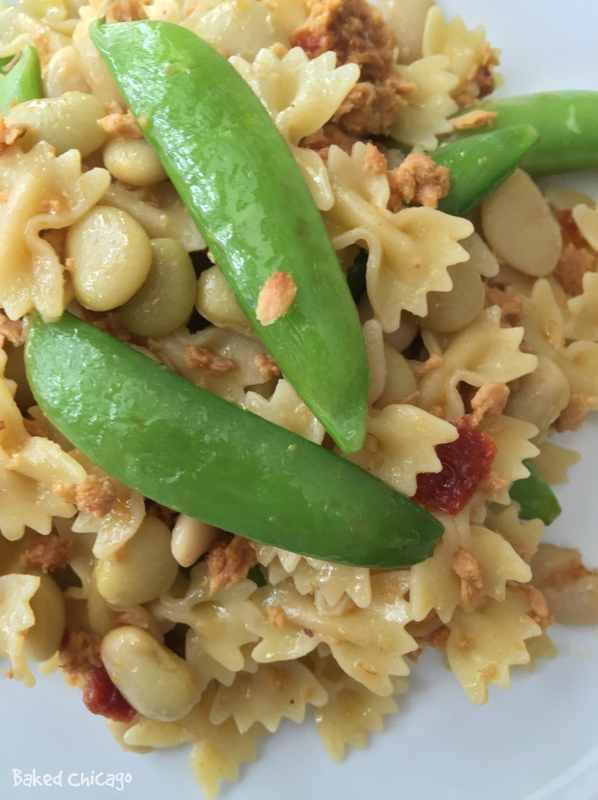 I chose to use sugar snap peas and baby lima beans, but you can use any fresh vegetables you love. I blanched them in the microwave by putting them in a glass bowl and lightly submerging in cold water. Cook them on high for 5 minutes and voila! Drain the water and rinse with cold water to stop them from cooking, which can cause them to lose color, nutrients. Set aside the vegetables while you cook the pasta. The pasta cooks in the microwave on high in about 10 minutes (for 2 servings). Drain the water and put the pasta in a large mixing bowl. 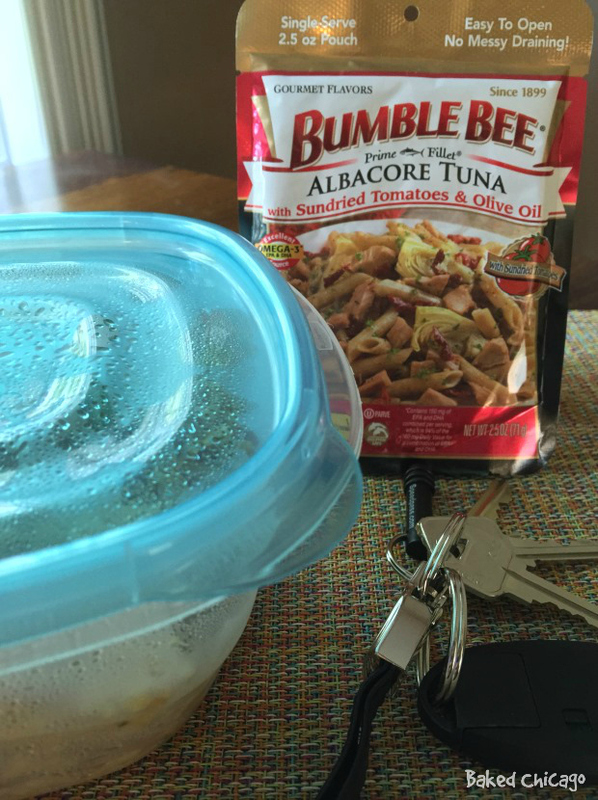 Combine pasta with the vegetables and add the Bumble Bee® Albacore Tuna with Sundried Tomatoes and Olive Oil. Drizzle with the garlic-infused olive oil and toss to coat. 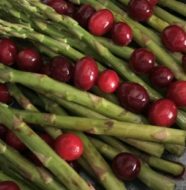 Those sundried tomatoes and sugar snap peas almost make you want to dive in with your fingers…..
…..but be civilized and use a fork! Season with salt and pepper and you’ve got a classic summer salad that’s perfect for a light lunch to enjoy at home or at the office. And for when you don’t have even 15 minutes to make lunch, you can still enjoy savory albacore tuna with sundried tomatoes and olive oil. Bumble Bee® Prime Fillet® comes in a very portable single serve pouch. Just grab it and go. Share which type of pasta, fresh vegetables and Bumble Bee® tuna you’d use to create your own version of the perfect Pasta Primavera Summer Salad in the comments section below. Put the minced garlic in a small condiment cup or bowl. Pour in the extra virgin olive oil and set aside. The garlic will infuse itself in the olive oil while you prepare the vegetables and pasta. Blanch the lima beans and sugar snap peas in a microwavable bowl. Add enough water to cover vegetables; microwave on high for 5 minutes. Remove from microwave and drain. Rinse with cold water, drain and set aside. Using a pasta cooker for the microwave, follow pasta package directions to prepare. For 1/2 pound of mini farfalle pasta, cook on high for 10 minutes. If you don’t have a microwave pasta cooker, use a glass or microwave safe bowl. Put pasta in bowl and cover with water. Do not overfill; all pasta should be lightly submerged. Do NOT put a cover on the bowl; that will cause it to boil over before it’s done cooking. Drain the cooked pasta. Transfer to a large mixing bowl and stir in the vegetables. Add the Bumble Bee Prime Fillet Albacore Tuna. Drizzle the garlic-infused olive oil over the pasta and vegetables. Stir until all ingredients are well coated. Salt and pepper to taste. Serve immediately or refrigerate. Adapted from Nigella Lawson’s Pasta Primavera Salad, 2003.